On February 1, 2018, National Geographic broke a story about some incredible new discoveries in Mesoamerican archaeology using new technology. On subsequent days, the story was picked up by other major media outlets such as BBC, Washington Post, NPR, The New York Times, and Fox. 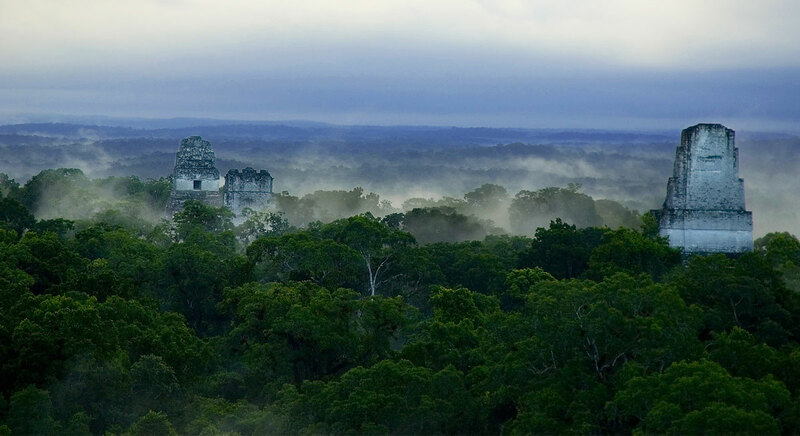 These reports are based on the recently released findings of the largest LiDAR survey ever attempted for archaeological research by the Fundación Patrimonio Cultural y Natural Maya (PACUNAM), led by Richard Hansen and Fernando Paiz. It mapped 10 tracts totaling 2,100 square kilometers in the Mirador Basin and other areas of northern Guatemala. The surveyed area is less than half the size of Utah County. According to Parley P. Pratt, early critics dismissed the Book of Mormon, saying, "there were no antiquities in America, no ruined cities, buildings, monuments, inscriptions, mounds, or fortifications, to show the existence of such a people as the Book of Mormon described." Based on this new evidence from the Maya lowlands, these grandiose descriptions are not so far-fetched after all. The details in this story support dozens of verses in the Book of Mormon that describe dense populations, sophisticated economies, road networks, large-scale agriculture, intensive land use, disaster-prone landscapes, and prevalent warfare. Even statements about "the whole face of the land" being covered by people and buildings may have been more than just hyperbole. LiDAR is a technology where expensive equipment is flown in a slow grid pattern over a target area. Billions of pulsed laser beams penetrate the forest canopy and bounce off structures below to create a massive data cloud. Graphics processing with supercomputers then yields highly accurate 3-D maps of the scanned surface. This digital imaging technique is revolutionizing Mesoamerican archaeology where important ruins lie concealed beneath jungle or forest. How do these new discoveries relate to the Book of Mormon? The correlation between this new scientific data and the Book of Mormon is simply remarkable. The following is a list of discoveries with this new LiDAR technology, as well as potentially related Book of Mormon passages. While not comprehensive, this list should give readers a pretty good idea of how well the Book of Mormon fits into the archaeological record. 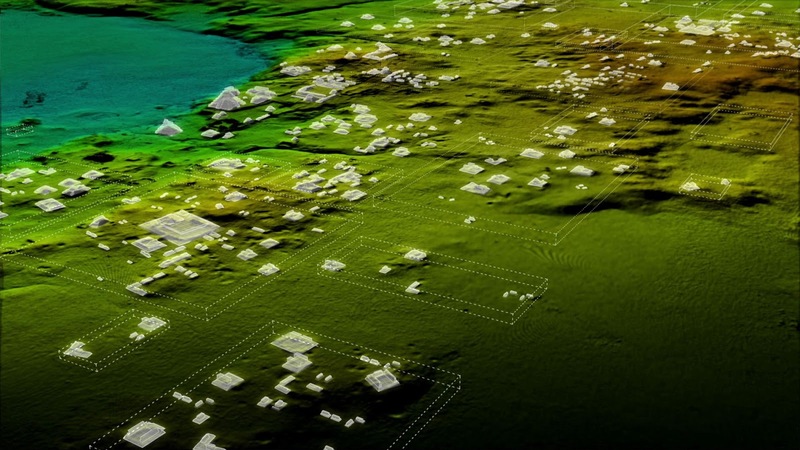 These new LiDAR images have revleaed 60,000 previously unknown structures, leading experts to new population estimates as high as 15–20 million for the lowland Maya during the Classic period. This means Maya civilization was much more dense, complex and advanced than previously thought. This is consistent with the situation described by Mormon: "The whole face of the land had become covered with buildings, and the people were as numerous almost, as it were the sand of the sea" (Mormon 1:7). Early Book of Mormon authors made similar descriptions (Mosiah 27:6; Jarom 1:8). Researchers have been particularly surprised by "the ubiquity of defensive walls, ramparts, terraces, and fortresses," leading to "suprising insights into ... the militarization in the Maya Lowlands." Other recent findings demonstrate impressive chronological correlation between widespread fortifications in the Maya lowlands and the Book of Mormon. Endemic warfare over centuries was norm and warfare was particularly prevalent in the early classic AD 250–500, consistent with the timing of final wars of the Nephites and continued warfare thereafter among the Lamanites (Mormon 8:8). Left: Guatemalan jungle; Right: 3D image of Mayan ruin lying the jungle. Image via National Geographic. 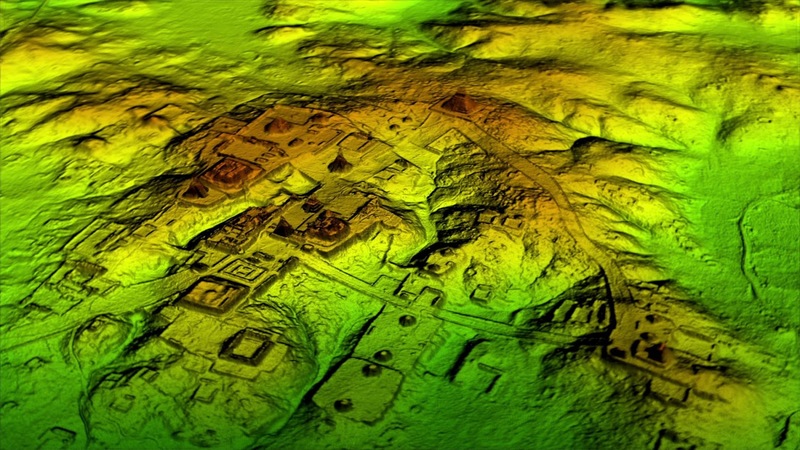 These 3D scans reveal sophisticated Mayan infrastructure at a never-before-seen level. The mesoamerican jungle now reveals a vast network of highways and roads, elevated so they functioned even in the rainy season. We now know that the Maya had a well-developed infrastructure that provided public works such as dams, ditches, irrigation systems, reservoirs, and stone quarries. Mormon similarly describes the construction of highways and road systems in 3 Nephi 6:8. The Book of Mormon mentions other public works such as dikes (Alma 49:22), irrigation systems (Alma 17:26–27), and stone masonry (Alma 48:8). The LiDAR technology has uncovered remains of animal pens, and reveals that food production was at an industrial scale. The Book of Mormon similarly talks about the vast production of food and domestication of animals. This northern Guatemalan LiDAR project will continue in phases over the next few years, eventually mapping more than 5,000 square kilometers (about the size of Utah County). At that point it will have mapped approximately 1.4% of the ancient Maya world which covers 350,000 square kilometers (about the size of Montana). So much new data is emerging from this LiDAR project, it will take decades to study so many new sites, but settlement patterns and big picture insights are already apparent. Be sure to watch this exciting video by National Geographic explaining the new LiDAR technology.